Sudan moved away Saturday from rejecting the U.N. Security Council resolution on Darfur, with Foreign Minister Mustafa Osman Ismail saying such talk was unwarranted. "If you ask me myself as a foreign minister about the resolution, I would tell you that if we look closely at this matter, we will find out that there is no reason to reject the resolution as it doesn't contain anything new, anything other than what already has been signed on in the agreement with the United Nations," Ismail told reporters. The Security Council passed a resolution Friday that gave the Sudanese government 30 days to disarm Arab militias blamed for the deaths of thousands in Darfur province or face diplomatic and economic penalties. Hours later, Sudanese Information Minister El-Zahawi Ibrahim Malik said Sudan rejected the resolution, which "does not conform with the agreements signed between the government and the United Nations." Asked about Malik's statement, Ismail said: "The Cabinet is the only body charged with responding to the resolution." Ismail said that after the Cabinet's meeting on Sunday, the government will issue its definitive response to the resolution. Earlier Saturday, Sudan's ambassador to the African Union, Osman al-Said, had told reporters in Addis Ababa that his government would comply with the resolution. "We are not happy with the resolution, but we are going to implement it  we have no other option," al-Said said. However, the task of stabilizing Darfur, a province as large as Iraq and with 6 million inhabitants, may be too much for his government, al-Said warned. "It is difficult to implement, so we need the U.N. assistance," al-Said said. The key clause in the resolution was that giving Sudan 30 days to disarm the Arab militia, the Janjaweed, which was named in the text. It mandated U.N. Secretary-General Kofi Annan to report on whether the deadline was met. 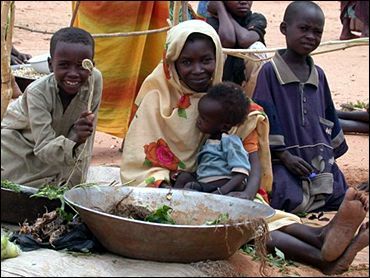 The United Nations and aid organizations have accused the pro-government Janjaweed of waging a brutal campaign to drive Sudanese citizens of African origin out of Darfur. An estimated 30,000 people have been killed in the 17-month conflict; a million people have been forced to flee their homes; and an estimated 2.2 million people are in urgent need of food, medicine and essential facilities. In announcing Sudan's rejection on Friday, Information Minister Malik accused the resolution of bias in its focus on the Janjaweed, and said the government was capable of "disarming all the looting and robbing gangs."